This page is dedicated to those who had some faith in me and whom I would like to publicly thank for having given me such opportunities to help make Senza G a reality. Being Celiac and coping with this Disease is not an easy task since many unfortunately, still consider it as a trend or fad. It is only after you are diagnosed and are told that you cannot touch Gluten ever again in your life, do you realise how you took simple and basic foods so much for granted before. If you get hungry, you just make a sandwich or stop somewhere to get one … we cannot do that. It is harder for us. Not only that but to replicate those same simple foods can be difficult. That was my aim when creating Senza G, to help others like me. And if it wasn’t for these people, you probably would not be reading this today. 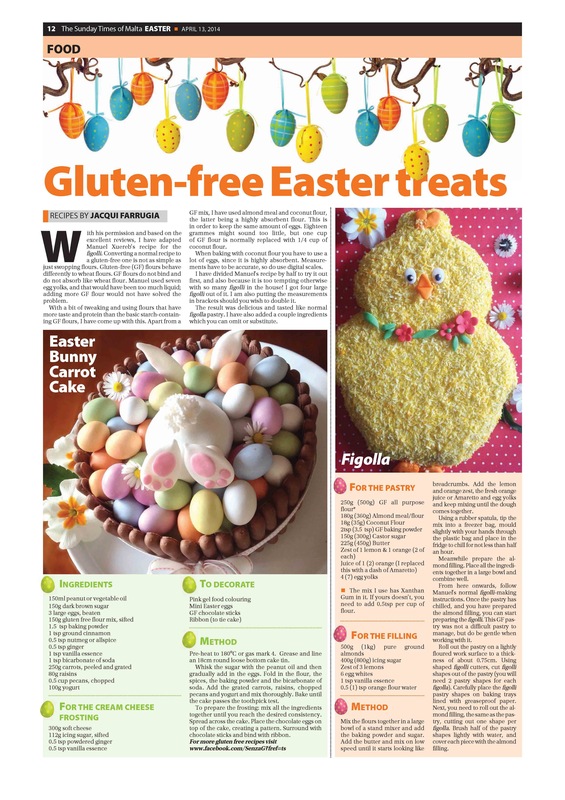 A special thanks to Ramona Depares, Editor of E&D Magazine of The Times, who gave me the opportunity to appear on the Easter Issue with a whole feature about CD together with some of my recipes. 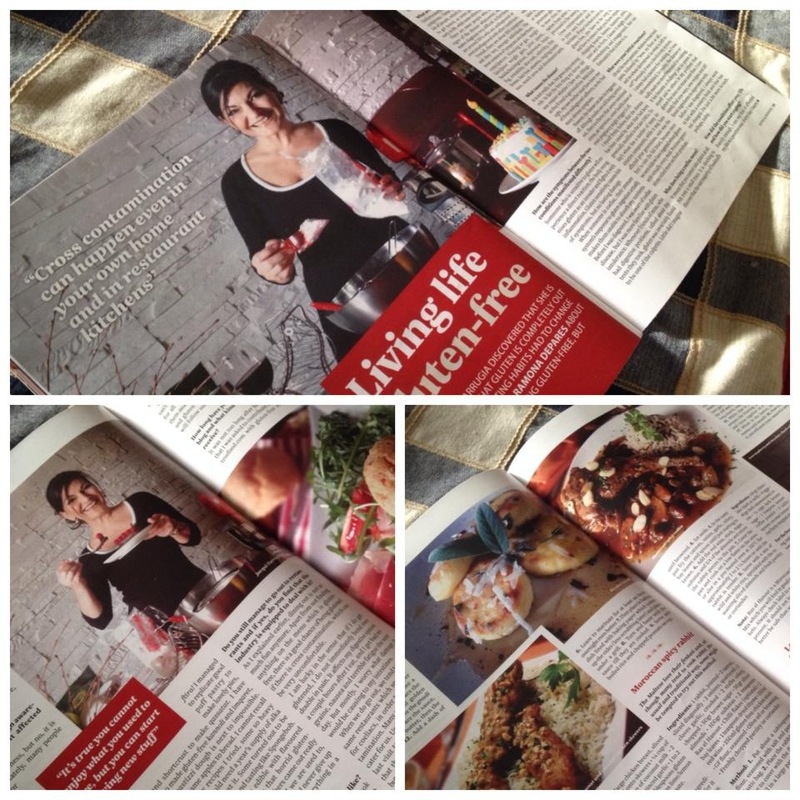 A big thanks also to Paula of Celiac Corner (www.celiaccorner.com) who helped to give me exposure even overseas. My thanks also goes out to Emvin Taylor, of Attard & Co, (www.attardcofood.com) who sponsored me with some of their GF products for my recipes on their website, I Genietti (www.genietti.it) who also sent me a selection of their useful Kitchen Gadgets, Stephanie Calleja, editor of Beauty & Fitness Website (beautyandfitnessmalta.com) for inviting me to contribute with my GF Recipes on their website and Tony Cassar of ilovefood.com.mt who offered me my ever first mini blog on the Maltese Website. Last but not least, my partner, James, who from Day 1 of my diagnosis was ever so supportive, switched his diet to GF with me and was the one who really pushed and helped me into creating this.